The P&S Bead Maker Paint Protectant is an extraordinary product that takes your paint's shine to the next level and adds valuable protection! One fast application protects your paint from dirt, grime and harmful UV rays while leaving behind a slick and glossy finish. With all of the work you put into cleaning and polishing your paint, you always want to make sure you protect the paint to keep it looking its best. Bead Maker uses binding polymer monomer technology to produce a water beading, brilliant, long-lasting finish. According to P&S, the surface migrating molecule attaches to the paint surface of a vehicle and once attached, this molecule cross-links and polymerizes on the surface. This builds a protective layer over the surface that is extremely hydrophobic and durable. You can apply it on a wet or dry surface, and on paint, clear coat, rubber, glass, plastic and more. When applying, simply spray it on and wipe away any excess. The application is really that easy! Once finished, step back and enjoy the glossy surface that is bound to turn heads. Looking to protect your paint with an extremely easy to apply product? 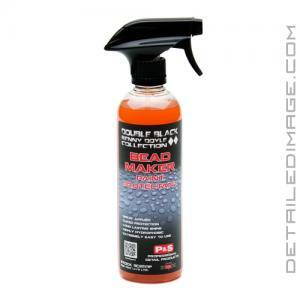 Look no further than the P&S Bead Maker Paint Protectant! Bead Maker is an extremely easy to use, multi-month polymer sealant, with striking slickness and gloss. There are many other products out there I like very much that have some of these characteristics and some that last longer but at the end of the day, I find myself reaching for Bead Maker more often than not. Best last step product is a hefty title to defend, but I will plant my flag on the fact that Bead Maker is the best last step product for most people. Bead Maker now makes paint protection easier and faster than ever before. Bead Maker's unique formulation allows for quick spray application. 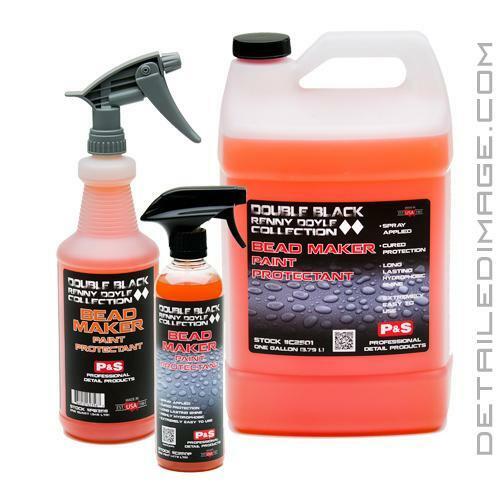 This time saving product uses unique polymer protectants to produce a water beading brilliant long lasting finish. Bead Maker may be applied to wet or dry vehicles and is safe on all exterior surfaces. Wash vehicle prior to product application. Bead Maker works best on new finish or freshly detailed vehicles. If necessary clay the surface of the paint prior to applying Bead Maker. Spray apply Bead Maker to paint surface. Bead Maker may be applied to wet or dry surfaces. Dry surface application will enhance overall product performance. Once applied remove product with a microfiber towel. Flip towel as needed for proper product removal. Repeat process over entire painted surfaces of the vehicle. Allow product to cure for a minimum of eight hours to achieve maximum performance. Absolutely AMAZING! Heard all the talks about it, thought it was BS but applies it on vehicles and it turned out great. Absolutely love this stuff and I haven't even tried it on the car. Currently using it as a drying aide on my glass shower door. Beadmaker makes it so much easier to keep clean and leaves the door slick to the touch. Great beading also. 100% recommend, can't wait to try out on the car. Thought the product was all hype but decided to try it. It really does change the look of the vehicle unlike any other product ive used(c2v3, CG V07, optimum car wax). My car is ceramic coated with Crystal Serum light and this product really does play well with it. Make sure on your initial application the surface is contaminant free or it would perform as expected. I had to perform a light clay application with the 22ple clay bar safe for ceramic coated vehicles for beadmaker to perform as intended. If you don't perform this step I noticed the self-cleaning properties dont mimic/enhance your base coat. So perform a light mechanical or chemical decontamination prior to your first application.